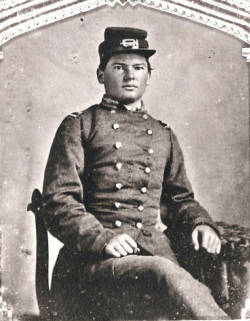 Biography & Genealogy: George McNeill Rose, Class of 1867: New Market Cadet- Private, Company C.; also served in CSA with 66th North Carolina Infantry Regiment. Genealogy: Born- June 5, 1846, in Fayetteville, NC. Father- John M. Rose; Mother- Jane Strange McNeill. Pat. Grandfather- Duncan Rose; Pat. Grandmother- Annie McAden. Mat. Grandfather- George McNeill; Mat. Grandmother- Elizabeth Kirkland. Married- Augusta Jane Steele, December 16, 1869. Children- 1st: Jane Augusta; 2nd: Augustus Steele; 3rd: John M.; 4th: George McNeill; 5th: Charles Grandison; 6th: Mary; 7th: Thomas Duncan; 8th: Julius Gray. Careers: Lawyer-Legislator. Died- June 15, 1924, in Fayetteville, NC.